Moments ago I was listening to the band Morphine’s ‘Cure for Pain’ and started laughing out loud. I’m about to run my second marathon in under 2 weeks and it seems that I am ‘looking for pain’ not it’s cure. Most of you reading are some form of an athlete whether you consider yourself one or not, being a runner, triathlete, swimmer or a soccer player. Why, as athletes do we quest for this pain? Maybe it’s just that runners are a bit crazier than the rest of the lot? For me, I think it comes down to battle, or rather it’s modern equivalent. When I am 16 Miles into a Mary, I am deep in battle. It hurts everywhere, my senses are heightened, and the only thing that matters is pure survival. Last week’s Boston Marathon was a perfect example of that since the only thing I was concerned for at Mile 16 (or maybe even Mile 9) was surviving the race and getting my medal! This weekend I am not the only one racing. In Kentucky, Abbe and Katie will be running I have a number of friends racing Big Sur… Bojana, Eissa, Elyssa, Shawna (who I met on the bus to Boston), Robert. I’m also through with wishing my all friends ‘Good Luck’ which is odd since I’m irish. You don’t need any luck, you already have what it takes. Instead, to all of you I say Godspeed! Go find your pain. 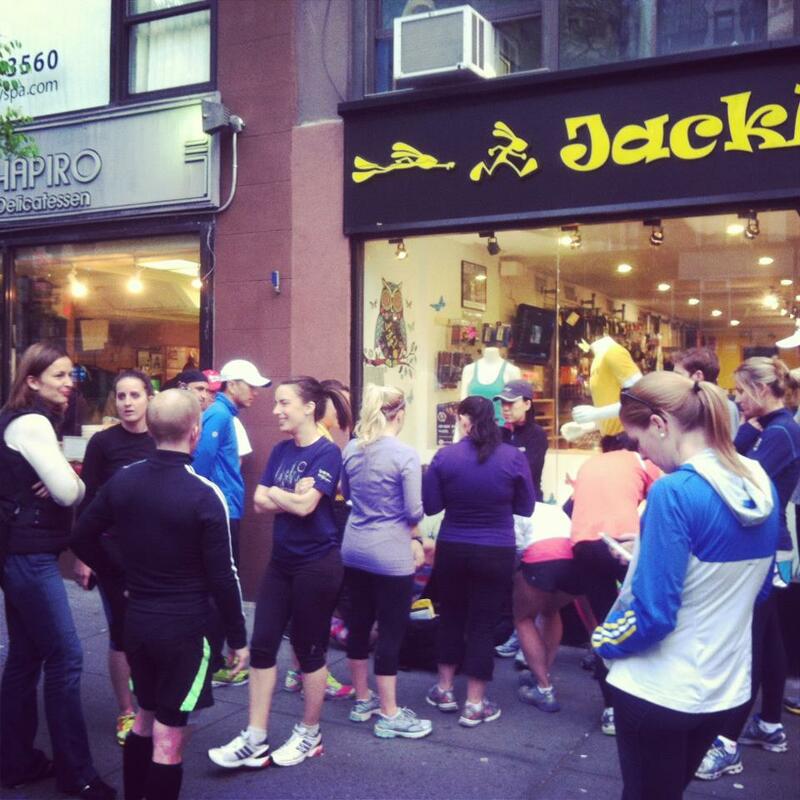 Thanks for everyone who came out to the run last night! I look forward to many more runs with you. « Wanna go for a run and get free stuff too?